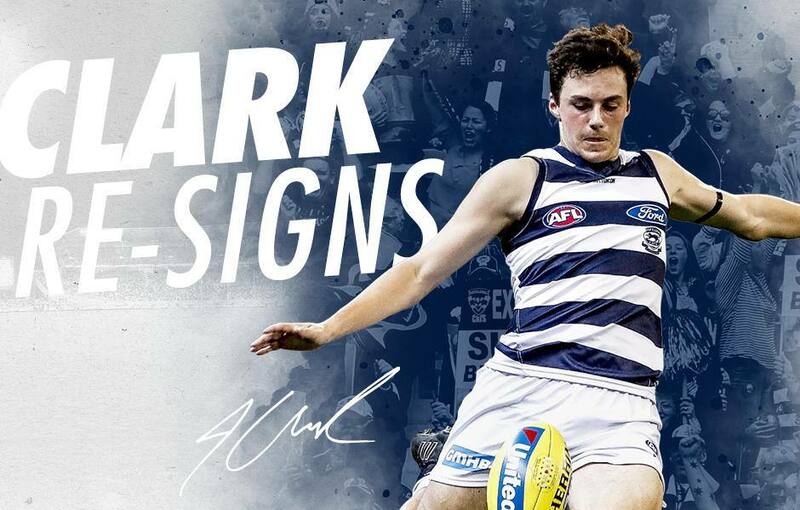 Geelong has secured young defender Jordan Clark for a further two years, after the 18-year-old signed a contract extension with the club this week. Clark has committed to the club until the end of 2022. The West Australian was the Cats’ first selection in the 2018 AFL draft, taken at pick 15. A former junior Australian representative cricketer, Clark played with Claremont in the WAFL in 2018. A skilful defender, Clark’s confidence with the football and smart reading of the play was on display in his first hit-out in the blue and white during the JLT Community Series. Clark earned a round 1 debut at the MCG alongside fellow first-gamers Charlie Constable, Tom Atkins and Gryan Miers. He has continued his impressive form across his first three AFL games in recent weeks, including a memorable first goal in the Cats’ round 2 win over Melbourne. Geelong’s General Manager of Football Simon Lloyd said the club is pleased to see Jordan commit to Geelong. “Jordan has embraced the Geelong Football Club over his short time here and we are pleased to have secured Jordan’s services for a further two years,” Lloyd said. “From the outset, Jordan has demonstrated a thirst to learn and a strong appetite for hardwork.